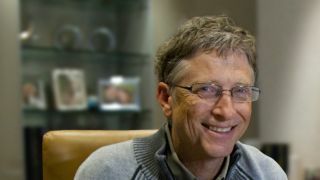 Once Bill Gates gets going, it's difficult to shut him up - fresh from his Reddit AMA, he's now taken to a news show to admit that Microsoft messed up on mobile but still has high hopes for Bing and Windows 8. Harking back to the days when his CEO Steve Ballmer said, "There's no chance that the iPhone is going to get any significant market share", Gates conceded that the company had missed a trick when it came to smartphones. Speaking to CBS he said, "There's a lot of things like cellphones where we didn't get out in the lead very early. "Why not? Oh that's too complicated. No, we didn't miss cellphones. But the way that we went about it didn't allow us to get the leadership. So it's clearly a mistake." A mistake that Windows Phone hopes to rectify, although it still trails in fourth place behind Android, iOS and even BlackBerry in terms of market share. The company's co-founder and chairman also spoke about his relationship with now CEO, Steve Ballmer. Gates said, "He and I are two of the most self-critical people you can imagine. "There are a lot of amazing things that Steve's leadership got done with the company last year. Windows 8 is key to the future, the Surface computer, Bing - people are seeing as a better search product - and Xbox." But neither is entirely satisfied with the progress that the company is making. "Is it enough?" Gates asked himself. "No, he and I are not satisfied that, in terms of breakthrough things, we're doing everything possible." Er, OK Gates. We'll reign in our expectations for the next Xbox then, shall we?